We are living in a time when we hear people say, “I am master of my own destiny” and “It’s all about me.” This is the “Me Generation” where each individual is the center of their own universe, everything and everyone circulates around them for their own fulfillment and self aggrandizement. Such individuals are insufferable and difficult to be around, they exude selfishness from every aspect of their persona. However they are not alone, we all suffer from this personality trait in varying degrees whether we realize it or not, it is part of the inherent nature of man. One therefore must take into account how this all came about as Adam and Eve, the first family who had initially been given dominion over the earth by the Creator, fell prey to the ego inflating message of the tempter and accepted his word over that of the Creator which served to remove God from the center of their lives and make Satan central, whereby they instantly became self aware while at the same time taking on the egocentric personality of the one whose voice they had opted to obey, thus consigning their dominion and entitlement over to Satan. The serpent in the Hebrew is a being or person is called 'Nachash.' The Hebrew word Nachash is translated to “shine” (like brass) or whisper (as in enchantment). The Nachash was not a literal snake he was, to use the literal Hebrew, a shining enchanter. He was also 'shrewd' (smooth or slick), as a descriptive term in the Hebrew for 'naked and cunning' in deceiving Eve. (Genesis 3: 1 - 7) Now the serpent was more subtle than any other wild creature that the Lord God had made. He said to the woman, “Did God say, ‘You shall not eat of any tree of the garden’?” And the woman said to the serpent, “We may eat of the fruit of the trees of the garden; but God said, ‘You shall not eat of the fruit of the tree which is in the midst of the garden, neither shall you touch it, lest you die.’” But the serpent said to the woman, “You will not die. For God knows that when you eat of it your eyes will be opened, and you will be like God, knowing good and evil.” So when the woman saw that the tree was good for food, and that it was a delight to the eyes, and that the tree was to be desired to make one wise, she took of its fruit and ate; and she also gave some to her husband, and he ate. Then the eyes of both were opened, and they knew that they were naked; and they sewed fig leaves together and made themselves aprons. In time God gave Moses the law and throughout the centuries that followed we can read of the continual failures of mankind to keep the law perfectly and even to this day there is no one on earth who has not failed under those ten commandments due to the dictates of ego and man’s propensity to sin. Following his baptism by John in the Jordan River Jesus went out to the wilderness where he fasted and prayed for forty days before beginning his ministry and is confronted by Satan who directed questions designed to appeal to Jesus ego, it was there in that moment in time where he put his own human ego to death placing the will of God the Father at the foremost center of his own existence. 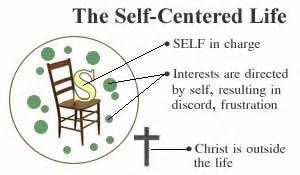 This is a profound example of the Son of God placing God his Father as central in the throne room of his own life and relegating himself to a subservient role by crushing the desires of his own ego. ‘You shall worship the Lord your God and him only shall you serve.’” Then the devil left him, and behold, angels came and ministered to him. And later here again, Jesus knowing that he was about to be tortured mercilessly and crucified, he put the will of the father above his own. A certain event that happened at the crucifixion of Christ which was recorded by Luke exemplifies the egocentricity of one of the criminals as opposed to the repentant God centered attitude of the other. Herein we see evidence that all is not lost even on the worst of sinners, one who was sentenced to death, because God approves a repentant and contrite heart and has provided a way to redeem His creation from the clutches of Nachash through the person of Jesus Christ. 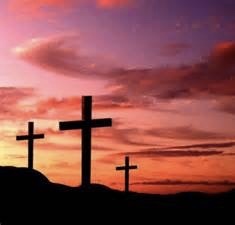 (John 3:16) “For God so loved the world that He gave his only begotten Son, that whoever believes in him shall not perish, but have everlasting life.” Let us all try to put Christ in the central place in our lives as Savior and Lord and give ego a back seat to what’s infinitely more important than ourselves. Most people’s personal insights come to them while thinking about certain events that occurred at earlier times in their lives. Those who gain nothing are to be most pitied as the human phase of our eternal existence is intended by the Creator to be a time of instruction and learning. There are multiple times that I have been tested and in retrospect admit to having failed many of those tests miserably, the reason for that is because as members of a humanity flawed at birth by the fall of man in Eden, we are egocentric by nature and put ourselves above everything around us, rather than being creator centric and maintaining a continual awareness of the presence of God in our daily lives. (Job 1: 1 - 22) There was a man in the land of Uz, whose name was Job; and that man was blameless and upright, one who feared God, and turned away from evil. There were born to him seven sons and three daughters. He had seven thousand sheep, three thousand camels, five hundred yoke of oxen, and five hundred she-asses, and very many servants; so that this man was the greatest of all the people of the east. His sons used to go and hold a feast in the house of each on his day; and they would send and invite their three sisters to eat and drink with them. And when the days of the feast had run their course, Job would send and sanctify them, and he would rise early in the morning and offer burnt offerings according to the number of them all; for Job said, “It may be that my sons have sinned, and cursed God in their hearts.” Thus Job did continually. Then Job arose, and rent his robe, and shaved his head, and fell upon the ground, and worshiped. And he said, “Naked I came from my mother’s womb, and naked shall I return; the Lord gave, and the Lord has taken away; blessed be the name of the Lord.” In all this Job did not sin or charge God with wrong. Not one of us would have responded like Job did, and it continued. Shortly after that he became covered with oozing pustular sores and his body began wasting away. A handful of friends showed up to offer condolences and solace, each one recounting what a righteous man he is and eventually suggesting that since God had obviously abandoned him that he would be better off to just curse God and die to end his misery. Job then lapsed into self pity and began to loathe his life and rue the day he was born, up until then he had been relying on his own self-righteousness to justify himself not unlike what most people tend to do at times. His friends unwittingly were in essence being used by Satan to taunt him mercilessly. Job finally entered into a lengthy conversation with God and recognized how insufficient his own righteousness really was, but in spite of all that had befallen him he refused to blame his Creator and continued to acknowledge Him above all else. Then God blessed him and restored his health, family and fortunes multifold. Upon reading the entire lengthy story of Job, one comes away with a sense of their own insignificance which becomes helpful in maintaining a right prospective of one’s self in God’s scheme of things. Job had passed an incredibly difficult test, the likes of which none of us will ever be faced with. However we are tested in smaller ways multiple times throughout our lives. I can attest to going through years of resistance to acknowledging my insufficiency which often resulted in personal failures, and have come to the conclusion that the answer to being an overcomer and a winner is in starting each day with time for God. A quiet time of study, introspection and prayer will eventually turn the toughest bone head into becoming conscious of God’s presence throughout the day, placing thoughts concerning God’s will over one’s self and in time a foul mouth, evil thinking and nasty comments will give way to the things that are honoring to God and no longer self defiling. That welcome morning coffee goes well with time for God, the stress of daily news and the outside world can wait, it will still be there but can be faced more victoriously afterward. Heroes don’t come in special wrappings, usually they are just ordinary people living ordinary lives until they are called through an internal urge to do extraordinary things, even if it costs them their own lives. John the Baptist was one like these, the son of Elizabeth and Zechariah, both righteous people. Zechariah was a priest in the temple of God and according to Jewish tradition the priesthood was passed down from one generation to the next firstborn son. So John the Baptist was by birthright a member of the temple priesthood, however John was called out to the wilderness by that inexplicable inner voice. John was what we would call an eccentric leaving a comfortable life behind as a temple priest opting to take on hardship for the sake of a greater cause than himself. 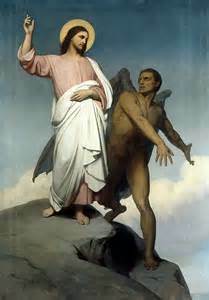 He was carrying a warning to all who would listen, to make way for the coming of the Lord. Now John wore a garment of camel’s hair, and a leather girdle around his waist; and his food was locusts and wild honey. Then went out to him Jerusalem and all Judea and all the region about the Jordan, and they were baptized by him in the river Jordan, confessing their sins. John came with a warning and was a herald of something greater than himself that was coming, his message was not well received by some and eventually it cost him his life. (Matthew 14: 1 - 12) At that time Herod the tetrarch heard about the fame of Jesus; and he said to his servants, “This is John the Baptist, he has been raised from the dead; that is why these powers are at work in him.” For Herod had seized John and bound him and put him in prison, for the sake of Hero′di-as, his brother Philip’s wife; because John said to him, “It is not lawful for you to have her.” And though he wanted to put him to death, he feared the people, because they held him to be a prophet. But when Herod’s birthday came, the daughter of Hero′di-as danced before the company, and pleased Herod, so that he promised with an oath to give her whatever she might ask. Prompted by her mother, she said, “Give me the head of John the Baptist here on a platter.” And the king was sorry; but because of his oaths and his guests he commanded it to be given; he sent and had John beheaded in the prison, and his head was brought on a platter and given to the girl, and she brought it to her mother. And his disciples came and took the body and buried it; and they went and told Jesus. Truly, I say to you, among those born of women there has risen no one greater than John the Baptist; yet he who is least in the kingdom of heaven is greater than he. From the days of John the Baptist until now the kingdom of heaven has suffered violence, and men of violence take it by force. For all the prophets and the law prophesied until John; and if you are willing to accept it, he is Eli′jah who is to come. He who has ears to hear,let him hear. John was a great hero, called like so many other heroes by that mystical inner voice that drives men to lay down their own lives for causes much greater than themselves. John said, “He must increased I must decrease”. 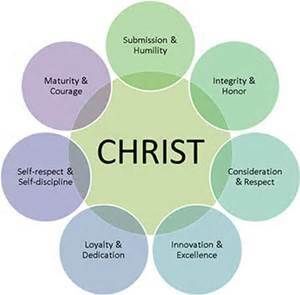 In other words, it’s not about me to draw attention to myself, it’s about something greater than myself just as this blog written as Joshua Stone is merely a non de plume rather than draw accolades to myself, it’s about He Who Is….Jesus. Most of the good, kind and seemingly righteous deeds that people do and are praised for today are usually couched in selfish motives, because they enjoy the praise of others, or they expect it will create personal opportunities for gain and be a good tax deduction. There is usually always an ulterior motive behind people's good works! Not so with the likes of John the Baptist and these two soldiers whose motives were entirely selfless for the sake of others even unto death, selfless not unlike Jesus himself, the Lord and Savior of all mankind who gave his all that we might live!